It premiered at the 2018 edition of the Rome Film Festival and will be shown next in Matera on February 28. The documentary film, Flavioh, is a labor of love by a group of filmmakers paying homage to one of their idols, Flavio Bucci. Bucci rose to fame in the 1970s in cult classics like Dario Argento's Suspiria and the biographical film, Ligabue, in which he took on the title role as the eccentric painter Antonio Ligabue. 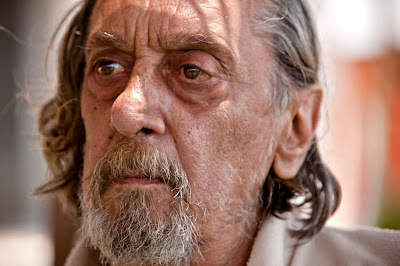 Bucci acted steadily through the 80s and 90s in television and film, working on projects of all budgets, including contemporary blockbusters like Paolo Virzì's Caterina va in città and Paolo Sorrentino's Il Divo. Flavioh was executive produced by Marco Caldoro and directed by the recently deceased Neapolitan filmmaker Riccardo Zinna. The film was Zinna's last project, and to watch him in scenes with Bucci is deeply moving. The film is essentially a road trip with stops in significant periods of Bucci's life and career. The adventure begins in Matera as shooting wraps up on The Gospel According to St. Matthews by Antonio Andrisani and Pascal Zullino. 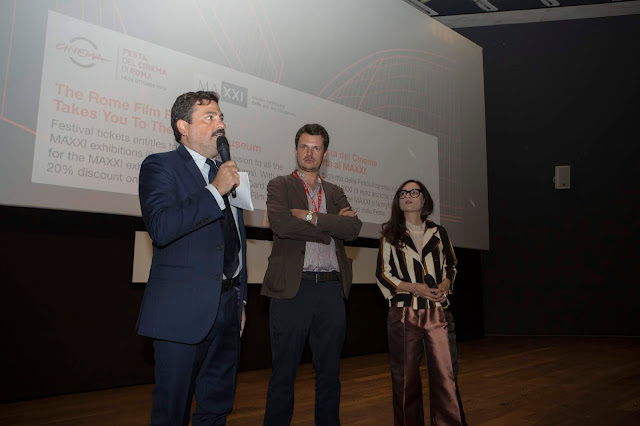 There are many tender moments throughout the journey and although the film is filled with nostalgia, Bucci and his cohorts contrast the sentimentality with humor and irony. One poignant encounter is with veteran film producer Claudio Mancini, who worked on the films of Elio Petri and Sergio Leone's Once Upon a Time in America. The two old friends are so happy to see each other, the scene brought tears to my eyes.There is so much sincerity in this film and that is due to Bucci's genuine character, an acclaimed actor who never set out to enjoy the luxuries of fame. He only wanted to work and to immerse himself in the worlds of his characters. I met the crew in Matera at the very beginning of filming back in 2015, so it was a joy to see the finished product. 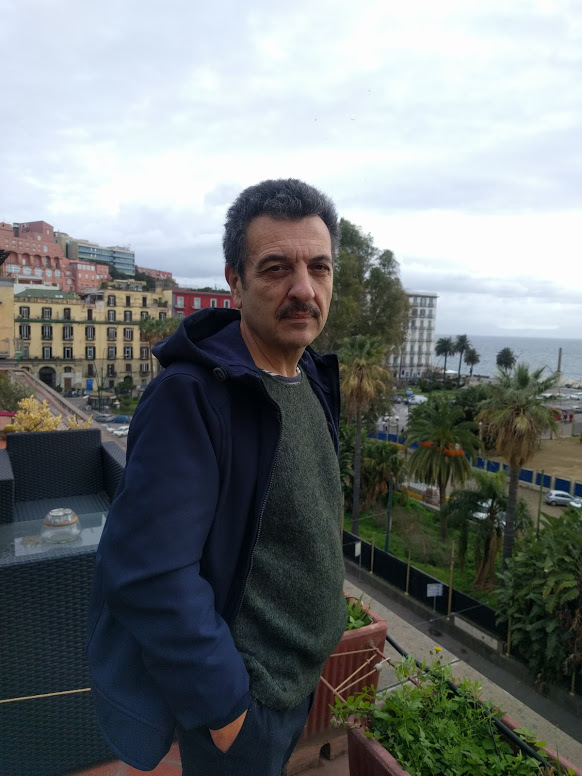 I spoke with Caldoro about the making of the film, his discoveries about Bucci and how their origins in the region of Molise led to the project. Tell me about your adventure in making this documentary. Flavio Bucci's paternal origins are in Casacalenda, a small town in the region of Molise. In 2014, the University of Molise approached me about organizing an event in which Bucci would receive a lifetime achievement award because he's always acknowledged his Molise roots and attributed much of his success as an actor to his origins there. The event served as an occasion for me to propose that he direct me in his play, "Diary of a Madman". Over the course of the production, he told me about his life that was dominated by alcohol and drugs, "the elephant at home" as he calls them. And he never stopped telling anecdotes of the great ones with whom he had worked: (Mario) Monicelli, (Elio) Petri, (Gian Maria) Volonté, (Ugo) Tognazzi, (Vittorio) Gassman, (Gigi) Proietti, (Nanni) Moretti, and others. How did you come to collaborate with Riccardo Zinna? Riccardo came up with the idea of ​​telling the life story of this great actor while he's still alive, telling the story with him and with his voice, to himself and to the people he loved once or even now or with the writers who created the characters that he became- sewn onto his face, given his voice, made of his movements, seen through his eyes. And to do so, he decided that it was necessary to set up a camper that would take the entire entourage through Italy and Europe. Flavio Bucci, with those people, could tell the personal and artistic life of this genius. What an incredible idea. Tell me about Flavio Bucci. One of the most beautiful things about Flavio is his simplicity. Perhaps one thing that I've always liked about him, and certainly has also attracted Riccardo, was precisely his way of dealing with his work, without ever being snobby. He's always treated people with great respect. It's a common trait of the simple people of Molise and this trait also linked Riccardo to my land. Was there something particularly interesting about him that you learned while making the film? 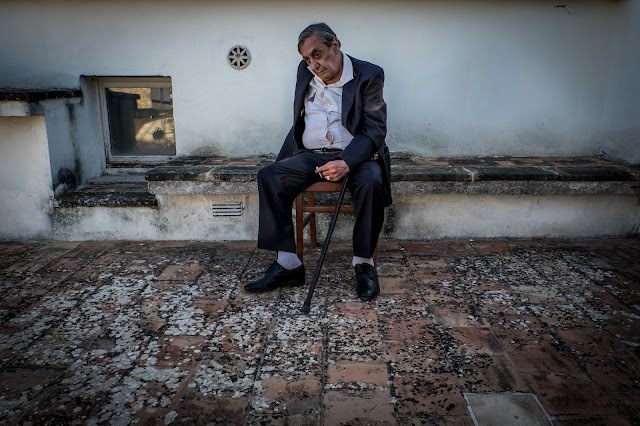 Each and every one of Flavio's stories is a lesson. To hear him talk about people like Petri, Volontè and Tognazzi as true friends gave us great pride, knowing that Riccardo was collecting all of his anecdotes and stories for this film. Marco Caldoro will present Flavioh in Matera with Flavio Bucci and cast member Pascal Zullino. The screening will take place at the Piccolo Cinema on February 28 at 7:30 pm. Admission is free of charge. For more information about the film, visit the website at https://www.flavioh.com.